What started as a lark some nine years ago, an excuse to get a head start on St. Patrick’s Day, has become the premier independent 5k road race in Winter Park. 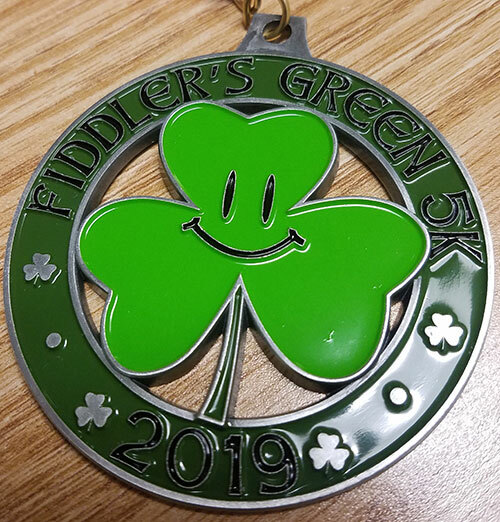 On Saturday, March 2, 2019, Fiddlers Green Irish Pub will hold the 11th Annual Fiddlers 5k on the streets of Winter Park. It will be followed by the craziest after-party of any 5k in the Orlando area. Starting at 7:30 A.M. at Mead Garden, the 5k run/walk winds thru the shaded tree lined streets of Winter Park. Then following the 5k, everyone is invited back to Fiddlers Green Irish Pub for an Irish breakfast and a free beer. Live Irish entertainment is provided by Celtic Clan. The house band from the Black Rose Bar in Boston will perform along with Irish dancers, bagpipes, and more. The Fiddlers 5k is about more than the run…and the beer……it is about the benefit to local charities. Over the years these have included the Special Olympics, the YMCA, Habitat for Humanity, and CECO. Over the past nine years over $200,000 has been raised for local charities, so the fun and festivities have a much larger purpose. Even if you don’t want to run in the Fiddler’s 5K you can still help out by making a direct donation, becoming a fundraiser, or supporting a runner or team. You can also become a 2019 Fiddlers 5K sponsor.